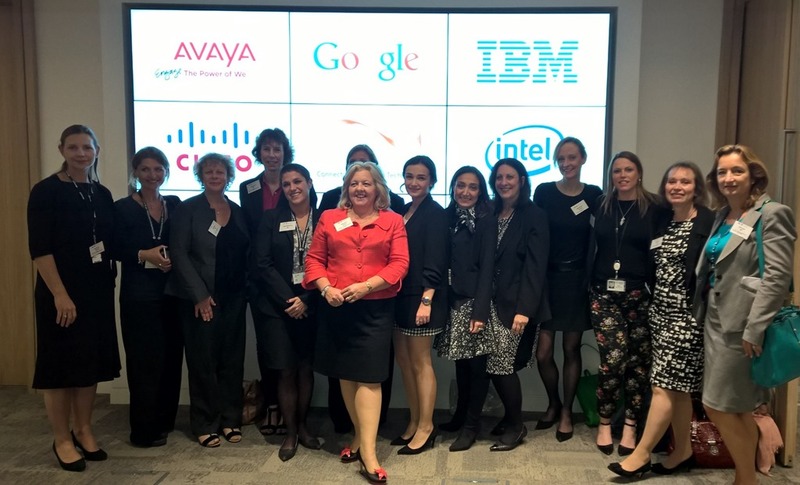 Our 15th event was hosted in London by HP who organised a fantastic location close to Cannon Street station for CWT 2015. We were welcomed by our logo as we came up the escalator into the registration hall. Of course we had to have our team photograph taken in front of the logo wall. Our theme for the event was “Inspiring the next Generation” – a topic dear to all of us who continue to try and encourage more women to join the Tech sector. For those in education, from primary to degree level, the impact of positive role models in encouraging career aspirations (and particularly of widening children’s horizons to the possibilities of careers in STEM/Technology) has been shown in multiple studies. Speakers and breakout sessions at the event looked at the impact we can all have as role models, the business value of volunteering and outreach and the personal and career benefits of engaging in such programmes. We also gave attendees the opportunity to meet with some of the UK outreach organisations and understand the tangible ways in which you can get involved, whatever your background and stage of your career, in a way which fits with your life & work. The afternoon ended with networking with attendees and speakers over drinks and refreshments. It was a fantastic event by the team at HP, some great sessions and everything worked like clockwork. The team really felt that we all have been inspired to go on and inspire others to succeed. Well done to the whole of the project team for their efforts at making this such a great event.